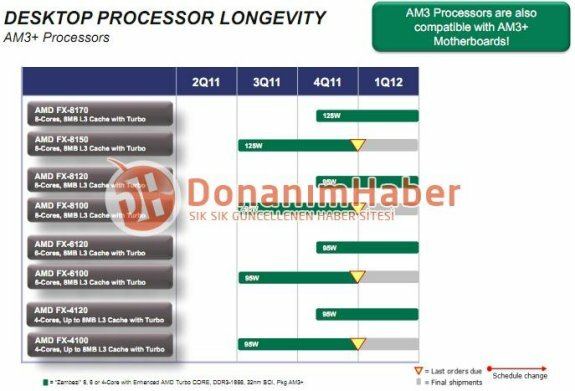 Turkish tech site Donanim Haber got its hands on a roadmap of AMD's upcoming Zambezi-based FX series processors. After that you'll have to wait until the middle of Q4 and then the four processors listed below will be released. The frequencies are not yet known but we are fairly certain that they will be slightly faster than the Q3 processors!